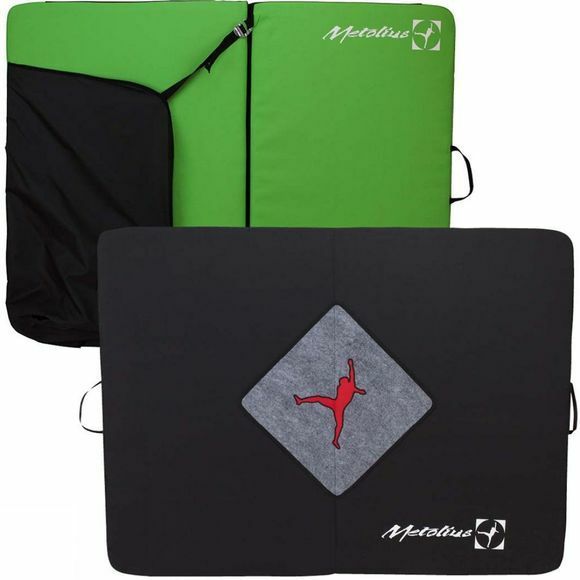 The Session II Bouldering Pad from Metolius has been redesigned: flap closure system is easier to load and reverses to cover shoulder straps while bouldering. Two new drag handles make it easier to position while open. 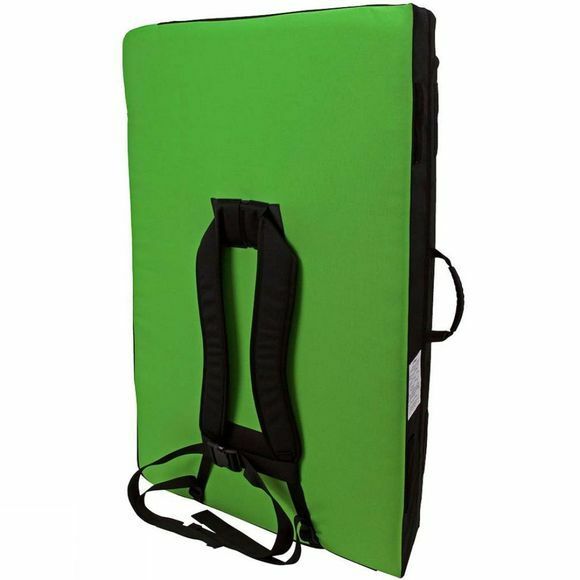 This versatile, do-it-all crash pad has burly 900d poly outer fabric that protects your pad from abrasion. Cross-clipper logo rug for cleaning shoes, padded shoulder straps, a waist belt, and suitcase-style carry handles. 4" sandwich foam design for maximum impact absorption, and angled hinges eliminate the gutter. Innovative speed-hook aluminum buckles are guaranteed for life.